This comfort soup is very delicious and easy to make. 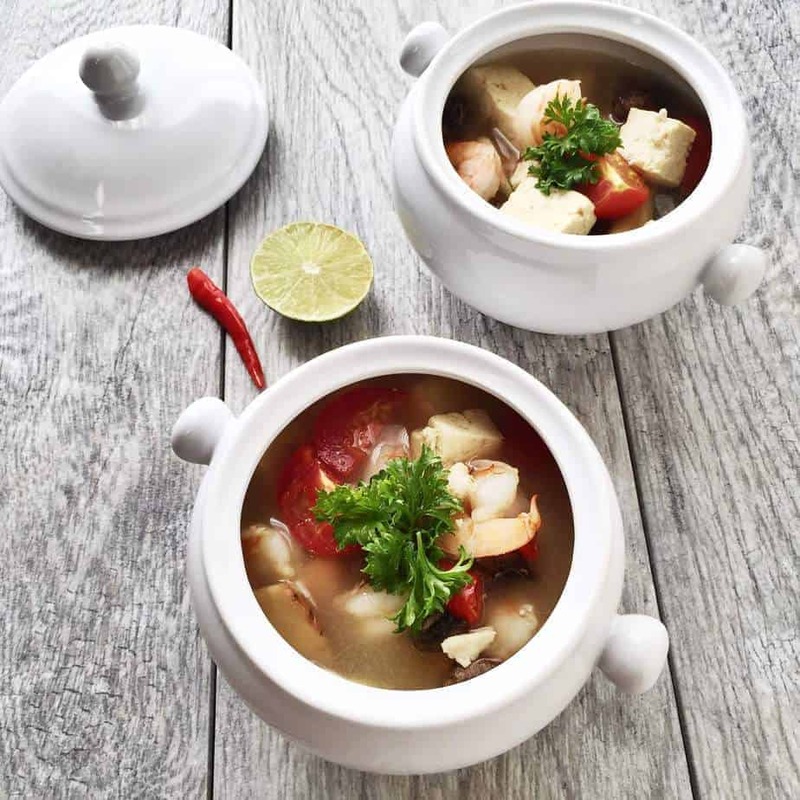 It has a lot of the flavors of soups you’d find in a Thai restaurant It uses simple ingredients, is suitable for vegetarian by simply skipping the meat and choosing tofu instead. You can find many of these ingredients at a local Asian market (fresh or frozen is good, I steer clear from ground ingredients). Some people may use straw mushroom for this recipe, but I couldn’t find any organic or BPA free straw mushrooms. Plus most of the canned ones contain other preservatives so I chose a different kind (white mushrooms or oyster mushrooms both work well). You can skip the chili if you don’t like something spicy or just add the chili separately to keep full control on the heat. Inviting friends to your house for a party? I think this soup will be a hit! It won’t take long to make and the great smell of lemongrass will bring added pleasure to the senses! Don’t forget to follow PoshJournal on Pinterest to see more updates and recipes! Boil the broth in a medium to large pot, then add galangal, lemongrass, kaffir limes, cook for 5 minutes then add cooked chicken. Cook for another 7 - 10 minutes then add Tofu, Fresh Lemon Juice, Fish Sauce, Sugar and finally the Shrimp. Cook for another 5 minutes . If you decide to make it spicy, you can add sliced chilies. I hope you enjoy this recipe. San Diego Automotive Museum | Balboa Park – VIDEO ! I have tried lemongrass tea before, but never a lemongrass soup. However, I love soups so I would probably like this one as well. Maybe I should try to make it. What is a galangal, is it the one that looks like ginger? This sounds like a very filling and comforting soup! This looks fantastic! I love lemongrass soup, so I can’t wait to give this a try. It’ll be my first time making anything like this. Thai is one of my husband’s favorite cuisines so we eat at Thai restaurants fairly often. I ALWAYS get soup. Normally I will order Tom Yum, but next time I will give this a try if they have it on the menu … it sounds wonderful. I have never cooked with lemongrass, but this recipe sounds so delicious. I am going to give this a try over the weekend. I’ve never cooked with lemongrass, but I’ve always wanted to and I would definitely use the chili. I like it hot and spicy. I’m going to make this one for sure. I love the taste of lemongrass but don’t cook with it often myself. I think I’ll have to try this recipe as it seems like something I would really enjoy! I’d love to try making this for the first time. I haven’t experimented much with Thai recipes so this would be a new venture! I use lemongrass essential oils but never thought of using fresh lemongrass to eat. Sounds like a very fresh dish for anytime of the year. I haven’t had lemon grass soup. It sounds good and I might have to try it one day. Lemongrass is a very flavorful ingredient in Asian cuisine. They also stuff whole chickens with it before grilling and you won’t believe the flavor it gives the meat. Yum! Thanks for sharing the recipe for lemongrass soup. This sounds like a delicious soup! 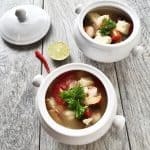 I love different soup recipes and would love to try this one. This looks very interesting. I’ve never had any soup like this one before. I’ll have to try this out and see what I think. I do love all kinds of soups and so do my kids. It will be interesting to see how this one tastes. This looks so delicious. I have never tried Lemongrass before. I will have to try making this recipe for my dinner party coming up. This looks so good. I love Thai food it is so delicious. I will havevto try making this. Oooo this soup sounds pretty unique but very tasty!!! Definitely need to pin to try it out for myself! I’ve never eaten Thai food or tried lemongrass. Sounds like I need to remedy that situation. Thai Lemongrass is one of my all-time favorite soups. Thank you for sharing the recipe! That soups looks so delicious. I am sure lemon grass is a great addition to soups. I would love to try this. Your presentation is everything! I never had Thai lemograss soup but this is definitely sparking my interest! That looks and sounds delicious! I’m definitely going to give this a try soon. I’ve been craving soup lately. You’re going to love this sour soup.. This Thai lemongrass soup sounds good except for the shrimp part.. Sorry I don’t like shrimp but my family does so I would take my out before I put the shrimp in the soup. I have not made soup in a while so I will try this recipe. Thanks for sharing. Looks and sounds very tasty. Thank you for sharing. What a very nice looking soup. I never had anything like this before. Thanks for the recipe. 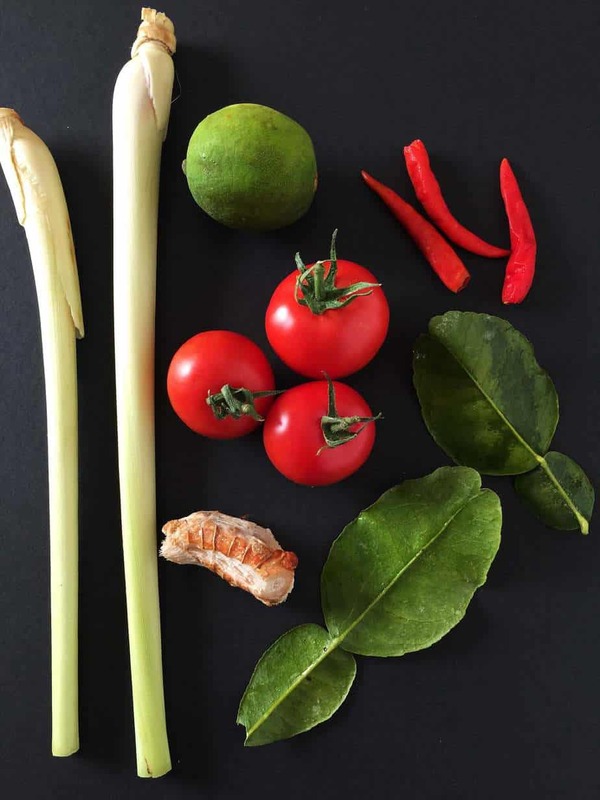 We’ve just started cooking with lemongrass and it gives a great little punch to many dishes. This soup will be tried once it’s not 90 degrees every day. Wow that looks incredible! I love the bowls the soup goes in and your photos are great! Pinning NOW!